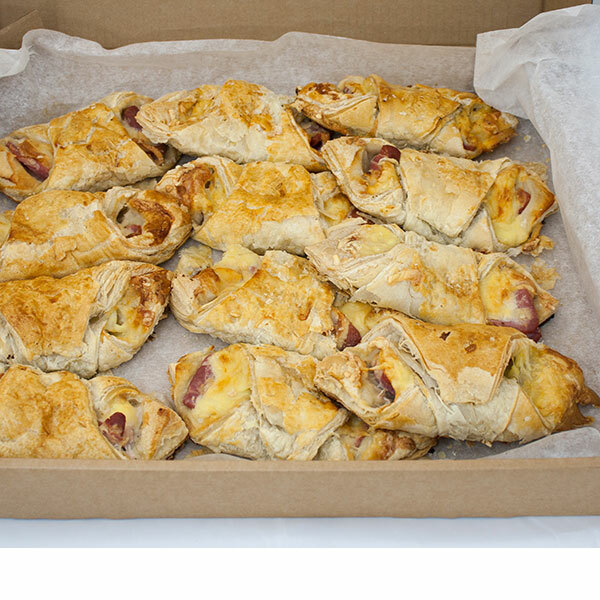 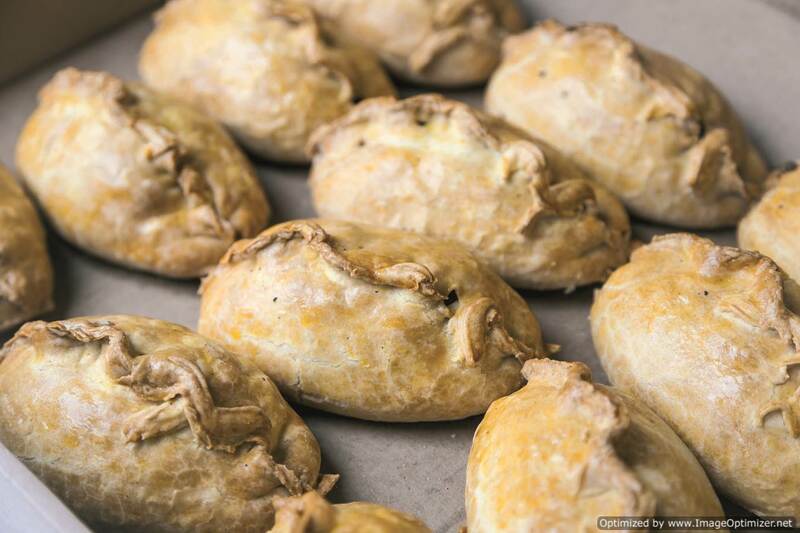 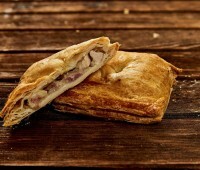 Cheese & Onion Pasty. 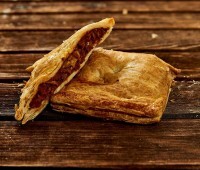 Puff pastry filled with grated mature cheddar cheese, diced onions and potato flakes with grated red Leicester and a cheese & onion sauce. 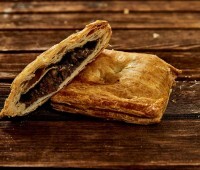 Puff pastry with mixed vegetables, minced beef and seasoning. Puff pastry with mixed vegetables, minced beef and seasoning, 12 to a case. 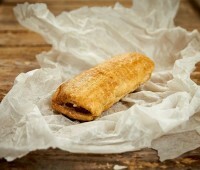 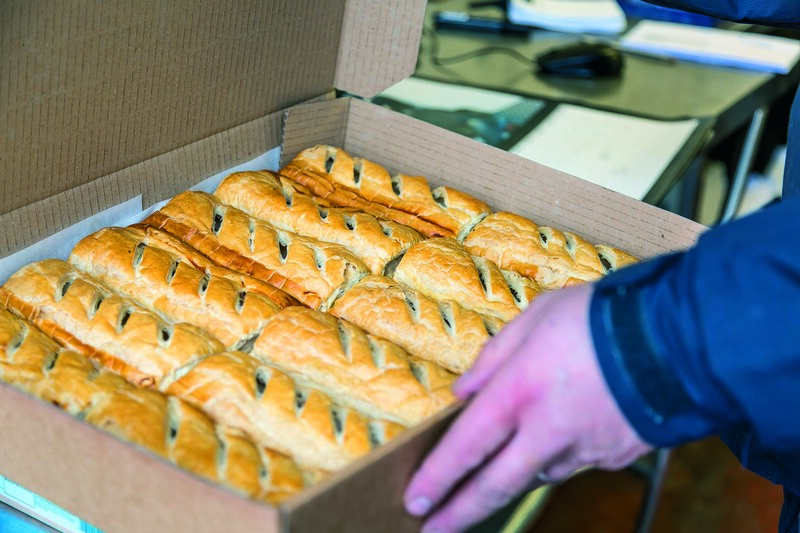 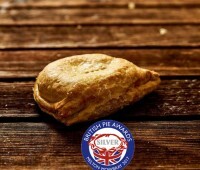 Our Kingsize Sausage Rolls are prepared daily giving you a fresh product and have a supreme sausage meat in the middle!